i made this for a friend's birthday. it sorta makes me feel like i'm on a cloud. there are highs and lows. personally, i find it perpetually relaxing and that it can provoke deep thought. 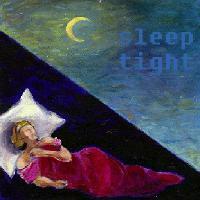 an introduction to a good sleep. picking up ever so slightly...but still okay. not that i listen to this band that much anymore...but this song is pretty. read the lyrics and be creeped out. Track 2 from Oh Lord, God of Vengeance, Show Yourself! this song is practically a ballad. about a cigarette. this was the perfect way to end ruines humaines...very lighthearted with a climax. Any chance of getting a download link? There's some stuff here I'd love to hear. Oh, this is my cup of tea. Red Sparrowes, God is an Astronaut AND This Will Destroy You? I can't give more than +5, sorry!